Um,yeah.... I usually have to erase about 30 minutes of video of the boys screaming their heads off! I so thought of you last night when Lost was on. That last picture of you is really good too. I love pictures kids take. Carter's was really good too...I didn't think once abou his nose. I just like how relaxed kids are in front of each other. Love the picture of Halle doing who knows what with the mattress! I just knew you'd be watching Lost! I would never trust my kids with my camera unsupervised and expect it back in working condition. You are a brave woman! Glad you got a break. I may be desperate enough to try it...2 more days of them off track! I forgot it was on and didn't watch! i didn't get to watch it tonight. i was out doing tax stuff for my mean boss. (; we hope to watch it tonight...maybe friday night. hope it was worth the LONG wait! TV and a good treat are the best things in the world. So that's the trick hu? I am going to totally try this at home:) I haven't started watching my Lost episodes yet! I am sooooo excited though! I like to save them up and watch like four or five hours at a time, and after the kids are in bed! So fun! which is better....kid pictures or warm delights? I'd say it was a toss-up :)! you look to be in LOST heaven! Cute picture of you by the way. I'm so sorry to hear about the car accident. I'll add them and Kat's family to my prayers! 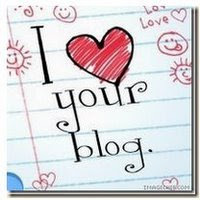 I'm slowly going to try and read up on some of my favorite blogs. Sorry I've been gone for so long!